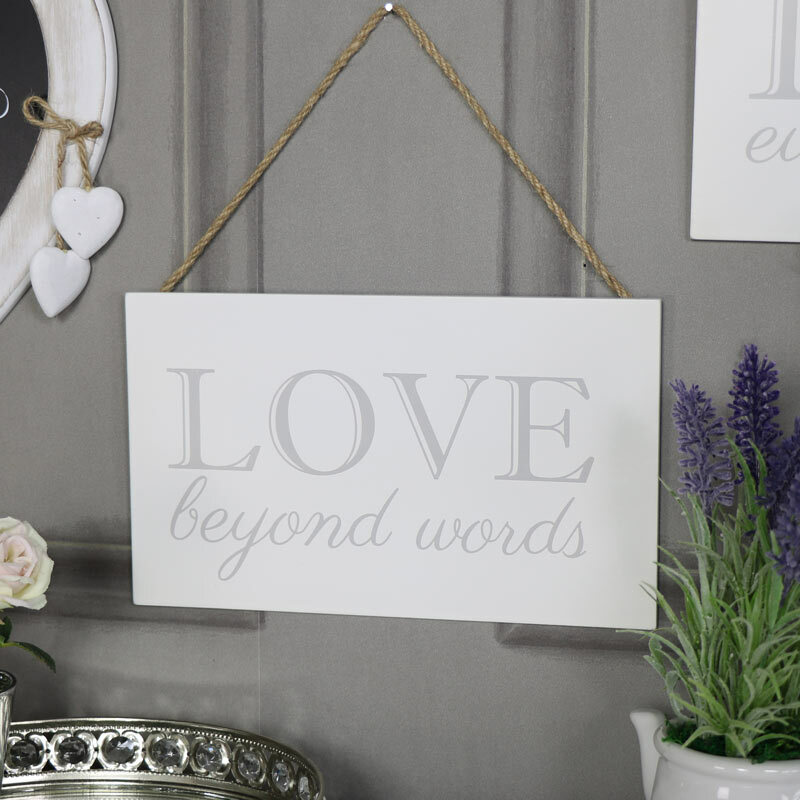 Wall Mounted Plaque "Love Beyond Words"
< Wall Mounted Plaque "Love Beyond Words"
When you're thinking of a gift for a friend or loved one, plaques can be a great idea. With quotes that clearly express what they mean to you and a great way to express yourself and your style. This pretty wall plaque would make a thoughtful give for that special person in your life. 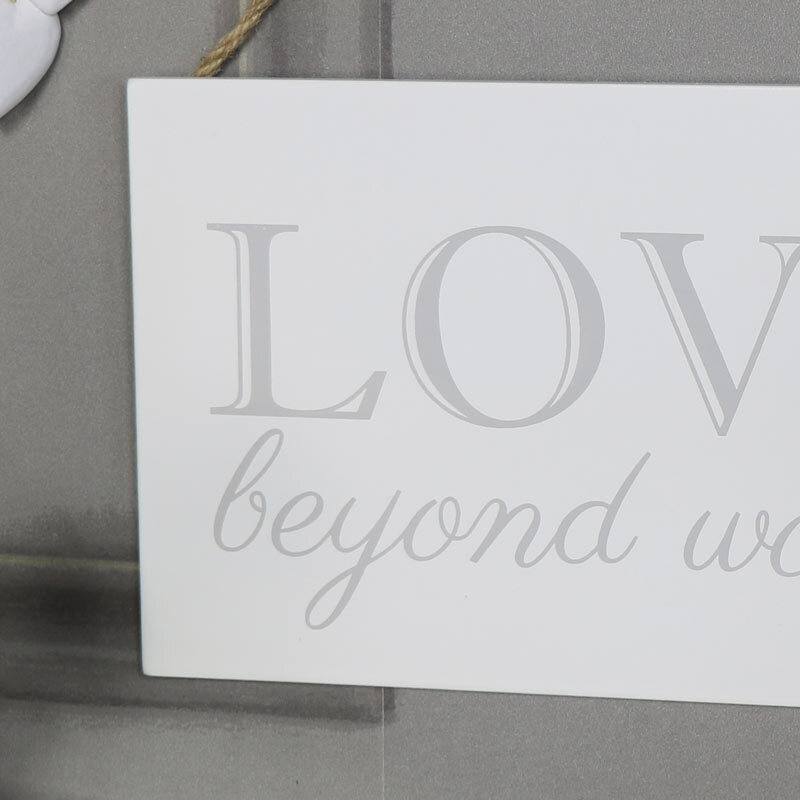 In a rectangle shape with grey lettering on a white background and the words "Love Beyond Words". A fantastic way to express yourself and add a touch of love and humour to your home. Perfect for adding a rustic, shabby chic feel to a room. When you're thinking of a gift for a friend or loved one, plaques can be a great idea. With quotes that clearly express what they mean to you and a great way to express yourself and your style. This pretty wall plaque would make a thoughtful give for that special person in your life. In a rectangle shape with grey lettering on a white background and the words "Love Beyond Words". A fantastic way to express yourself and add a touch of love and humour to your home. Perfect for adding a rustic, shabby chic feel to a room. Wooden plaque, painted in a white colour with grey text and easily wall mounted with a hook on the back.